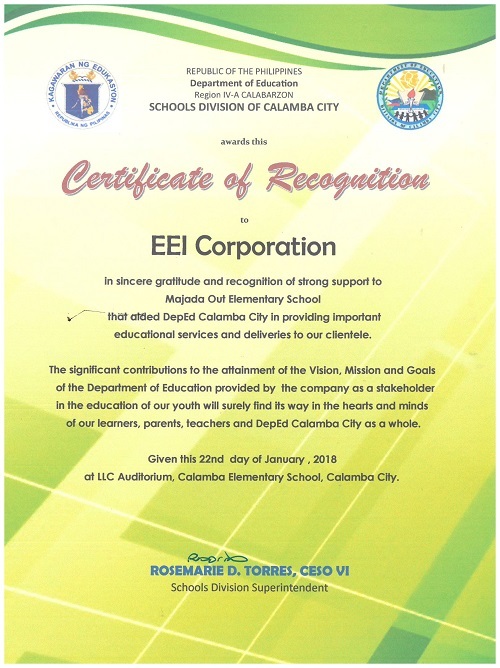 EEI Corporation, through its Majada Yard, was recognized by the Department of Education, Schools Division of Calamba City, for its contributions and support to the Majada Out Elementary School in Calamba City, Laguna. 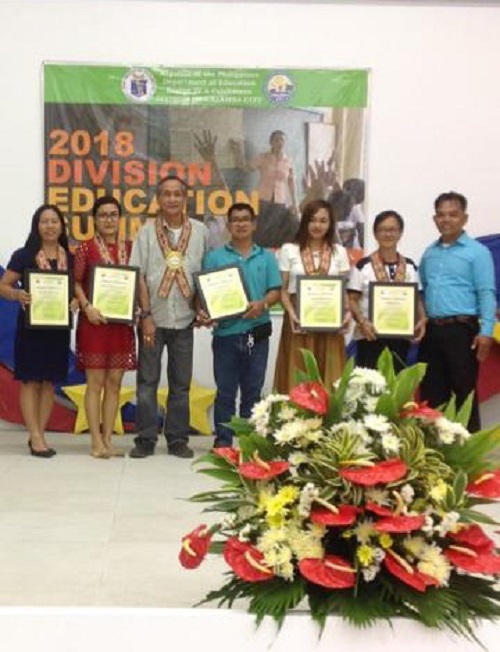 The award was given by Dr. Rosemarie D. Torres, Schools Division Superintendent of DepEd Calamba City during the 2018 Division Education Summit held last January 22, 2018 at the Chipeco Hall in Calamba, Laguna. Receiving the award for EEI were Jun Villarin, Sr. Manager – ESG/Consultant, and Marcelino S. Santiago, General Foreman Manpower – ESG, both based at our Majada Yard operations.